Nowadays, people watch videos not only while sitting at their desk inside their home or office but also on the go. If you are planning to travel long distance for a vacation, you need to download useful videos or documents to your iPhone or iPad in advance. This will allow you to watch them whenever you want without considering mobile network connectivity and your data plan. Sometimes, the network will be poor in remote areas and it doesn’t hurt to download videos if avaliable. In this scenario, you’d better make use of the best free video downloader apps available for the iOS platform, so that you can watch videos without spending any data if you download them beforehand provided you have charged the device. In this article, we will list the 2019 best free video downloaders of iOS apps to download videos and documents from the web onto your iPhone or iPad. 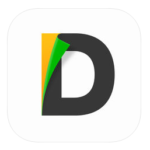 Documents is a free video downloader app for iOS, which serves as a central hub for all your files. With Documents, you will be able to import files from your computer and cloud. You can download files from the web and store email attachments. The file manager helps you to get all the work done related to files easily. The Documents app enables you to establish connectivity with all cloud services. It is possible to listen to music and videos online or office with the capability to download movies. You can also perform operations related to PDF. 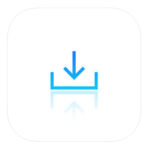 With Downloader, you can download video files to your iPhone or iPad, including the ability to view, edit and transfer files to and from your device. The app provides support for multiple concurrent downloads, passcode for security and cloud transferring. If you pause a download, you can resume using the app. The background download module helps you download files while doing other tasks. 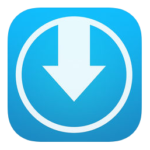 You can use the Downloader app with Dropbox, Box, Microsoft Live, Airdrop, iCloud and Email. QWE is a free video downloader app to download and navigate documents on iPhone, iPad and iPod. The app ships with a cloud manager, a dedicated file manager with folders supporting iTunes file sharing. And you can protect the files using passcode. The latest version includes display of download progress, files filter and auto-rename, but notice it also removed the browser which you may need to wait for next update. 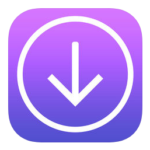 DownloadMate is another iOS video downloader app that helps you to download video files to your iPhone, iPad or iPod Touch. You will be able to view, play and edit the downloaded files directly from your iPhone. The app includes a web browser with tabs, bookmark manager, basic authentication via HTTP integrated with Google Search. The download manager includes live progress bar, which shows the progress of the download. It displays active downloads number including the ability to customize download location. It is also possible to resume interrupted downloads inside the app. With the help of the file manager, you will be able to perform all file related operations from within the app. You can even compress the downloaded videos to ZIP files. It is possible to import images and audio files from camera roll/music. Do you want to send videos as attachments? You can do this provided the capacity of the file is below 15MB. Yet this app stopped updating since 2014, which means it probably won’t be fully compatible with iOS 11 and later. As you can see, it’s easy to use free video downloader apps to download videos for iPhone or iPad. If those above don’t satisfy you, you can view plenty of other apps on the App Store that helps you download videos easily and get the most suitable one accordingly. If you lost videos from iOS Camerall Roll which are nowhere to download again, you can use Gihosoft iPhone Data Recovery to get back deleted videos from iOS device including iPhone, iPad and iPod Touch.